Chateaugay Lake lies in the northern foothills of New York State’s Adirondack region. It forms the headwaters of the Chateaugay River, which feeds into the St. Lawrence River at Montreal. The 12-mile-long lake system extends from Upper Chateaugay Lake through the channel of the Narrows to Lower Chateaugay Lake and the Outlet. There it terminates at the Forge Dam, first constructed in the days of iron mining over a century ago. Today, Chateaugay Lake is surrounded by a mix of seasonal and year-round homes and protected public lands. Residents of the region and visitors from near and far enjoy the Lake’s scenic beauty and outstanding recreational opportunities. 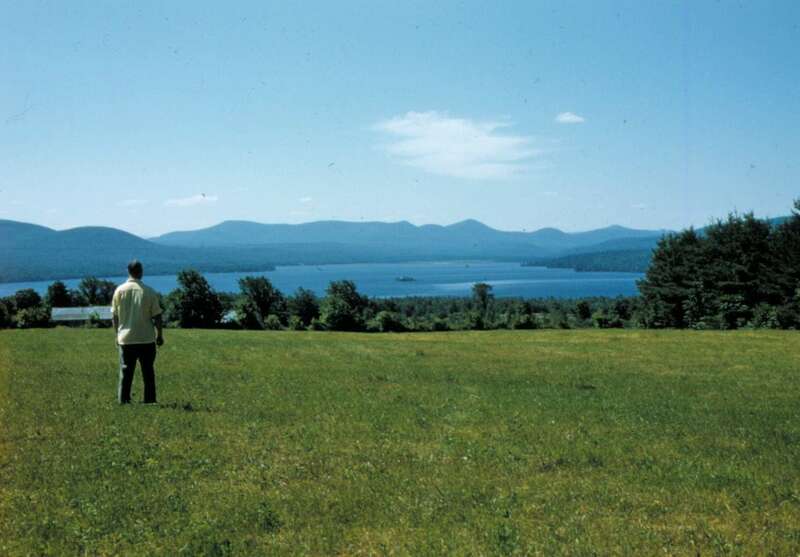 In 2007, the Chateaugay Lake Foundation was established as a charitable nonprofit organization to support efforts to protect the environmental quality of the Lake and its surroundings. The impetus for creating the Foundation was the spread of Eurasian water milfoil throughout the lake system. This highly invasive, non-native aquatic plant has become notorious in the Adirondacks and beyond for clogging waterways, crowding out native plants, degrading wildlife habitat, and spoiling boating, fishing and swimming. The Chateaugay Lake Foundation works in partnership with the Chateaugay Lakes Association and others who are concerned about the Lake to develop a broad-based, coordinated, and sustained response to the Eurasian milfoil problem and similar threats that might emerge. You can be part of this critical work! Our funds come from donations from those who believe Chateaugay Lake is worth protecting and who care enough to participate in its preservation. This web site has more information about the Eurasian milfoil project, our fundraising campaign, and how you can help. © 2018 Chateaugay Lake Foundation. All Rights Reserved.